Zhujiayu, a 600-year-old mountainous village in Zhangqiu,Shandongprovince, is a good place for some tranquility and to get in touch with nature. Lying in a valley surrounded by green mountains, Zhujiayu was rated as one of the 24 Famous Chinese Historical and Cultural Villages in 2005 by the Ministry of Housing and Urban-Rural Development and the State Administration of Cultural Heritage. The village is about one-hour drive from capital Jinan. 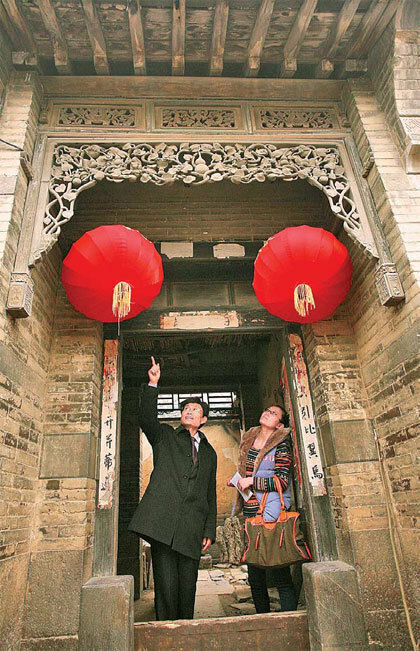 With a population of only 2,000 even in its prime time, the isolated rural village is renowned for the preservation of its historical buildings dating to the Ming and Qing dynasties (1368-1911). Rivers and creeks flow down from the surrounding mountains, winding through the whole village. Owing to this, more than 90 quaint stone bridges have been built during the past centuries, each with different design andstyle.